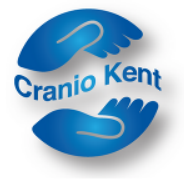 Craniosacral Therapy may be a treatment that you have never heard of before and different to anything else you have ever tried before. Robyn Scherr, Craniosacral Therapist wrote a brief summary of what it is and how it helps, and I have listed the main points that she makes below and added some points of my own. 1. You Can Discover the Healing Power of Your Inner Wisdom: Craniosacral Therapy is a simple, direct way of accessing your own inner wisdom and innate healing mechanism. The clients’ inner wisdom leads and directs the session, which is the central premise of this modality. The therapist will “listen” to the client’s system with their hands, assess the priorities and respond accordingly. 2. It Uses a Combined Mind, Body and Spirit Approach: It works on the physical, emotional and spiritual aspects of oneself. Each session is unique, which means any one of these aspects, or combination of these aspects, can appear in a session. For example, sometimes we have a sense with a headache that it’s in response to an emotional trigger, but can’t quite identify it. 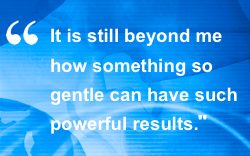 With Craniosacral Therapy, clients are provided the opportunity to feel how and where the tissue is holding tension as the emotional trigger shows up. This can be very enlightening and with subsequent sessions, clients tend to become more self aware. 3. Receive It At Any Age: Because Craniosacral Therapy is so gentle, it can be received from the time of conception onwards. I see a lot of children for example, with a range of issues, such as anxiety, sleep disorders, digestive concerns and so on. But it is never too late! Craniosacral Therapy can used in the elderly also and even to support someone during the process of dying. That listening, non invasive touch can be helpful to anyone, even if you don’t have a specific “problem”! Some clients continue to have top up sessions with me, even though their issues have resolved, simply because they feel it helps to keep them “on a level”, such is the support that it provides. 4. Complementary to traditional medicine: Craniosacral Therapy should be used in conjunction with traditional medicine, rather than as alternative to it. I am a great supporter of traditional medicine, my father is a medical professor in fact, but we all know that, unfortunately, traditional medicine does not solve everything and in my experience, Craniosacral Therapy can often provide relief, even when traditional routes have not or when traditional medicine is treating the symptoms rather than the underlying cause. 5. It’s Flexible: Clients can work as intensively as they like. Treatments can be received every few days, or once every month or two. Overall CranioSacral Therapy is a highly effective light-touch therapy that works with the source of pain and dysfunction and the whole body simultaneously. Now that you have more information about this noninvasive healing technique, you can decide if you would like to give it a try; I encourage you to!